The PASS wheel tools ps:®wheel are available for a different range of applications, e.g. offset-, deburring-, reinforcing- or beading-tools, especially for large sheets. But occasionally it may be that a bigger sheet warpage occurs when producing a large number of beads in a row or beads of an enormous size. Threads can be found in different areas when products are connected together. 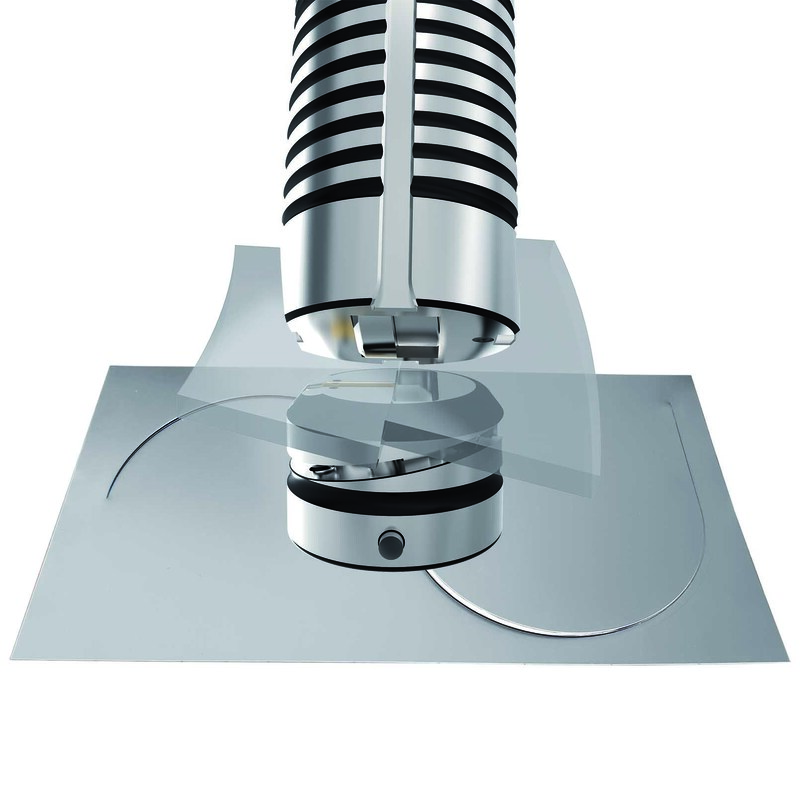 In order to gain advanced automated thread forming on a TruPunch/TruMatic machine, the tool technology was scrutinized and completed with further effective developments. Additionally to our ps:®speed-grinder we now added another grinding machine to our product range, the purchase of which is justified even with a small stock of punching tools: ps:®hand-grinder. 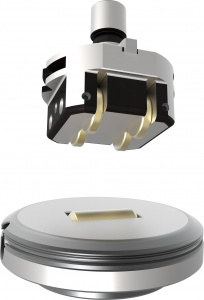 Every day, the operator of a punching machine is faced with the challenge of working scratch-free for his end product - no matter which punching machine he works with. 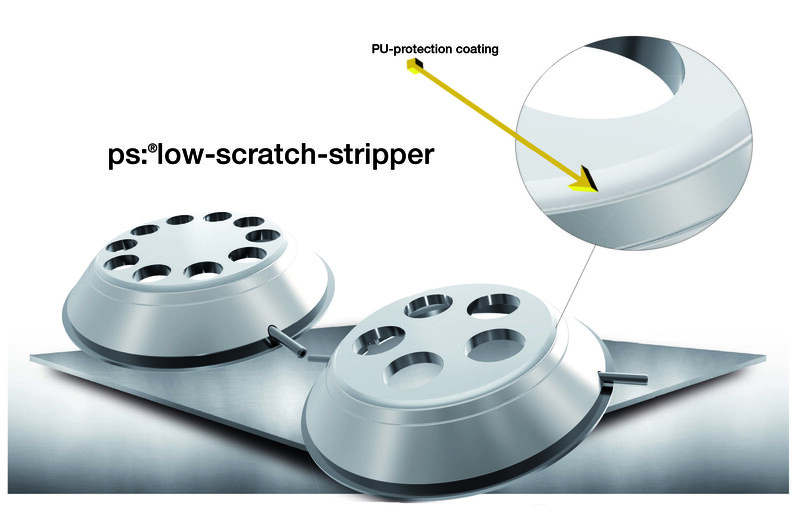 Some time ago, we integrated PU-coated stripper for tooling system TRUMPF into our portfolio. These strippers have become an important part of daily working life for many of our customers. Due to the high demand for this application, we have also significantly increased our stock of standard stripper with PU-coating so that just-in-time delivery can take place. The success of this innovation was accompanied by the customer‘s wish to produce such strippers for Multitools as well. Until recently, there was no technical development how the standard stripper of the 5- or 10-station Multitool for tooling system TRUMPF could be manufactured in such a way that low scratch processing of the sheet metal could also be guaranteed. They are now available at PASS! Wheel Tools and Cutting Tools – both tools are necessary within the sheet metal processing life! But getting these two types of tools under one roof, however, means a completely new approach to the viewpoint of a conventional tool. Separation cuts are common in daily working life. Of course, the finished part has to be somehow cut out of the sheet metal. Many different versions of the separation are possible here. The new ps:®wheel-cut-sl combines fast working with nibble-free cutting which was designed especially for machines without emboss station.